Everyone’s favourite family of supers is back in “Incredibles 2” – but this time Helen (voice of Holly Hunter) is in the spotlight, leaving Bob (voice of Craig T. Nelson) at home with Violet (voice of Sarah Vowell) and Dash (voice of Huck Milner) to navigate the day-to-day heroics of “normal” life. It’s a tough transition for everyone, made tougher by the fact that the family is still unaware of baby Jack-Jack’s emerging superpowers. When a new villain hatches a brilliant and dangerous plot, the family and Frozone (voice of Samuel L. Jackson) must find a way to work together again—which is easier said than done, even when they’re all Incredible. 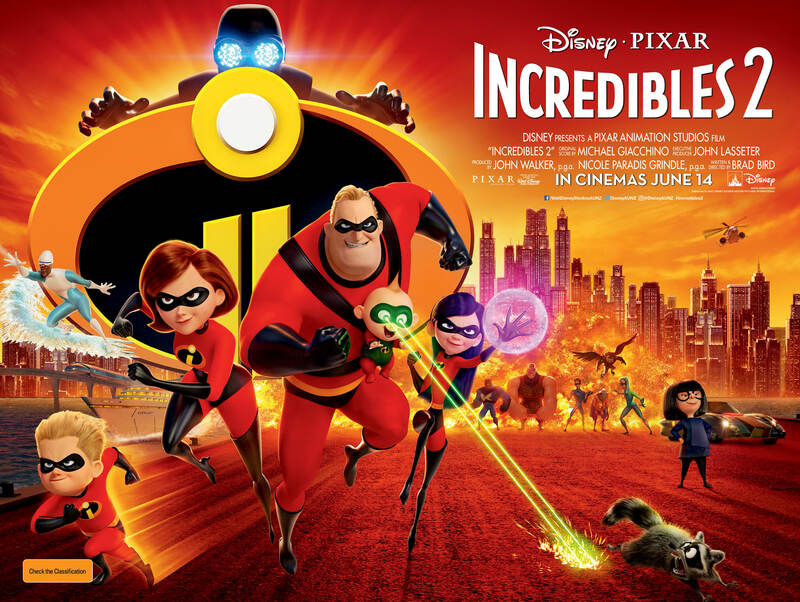 “Incredibles 2” busts into cinemas on June 14, 2018.